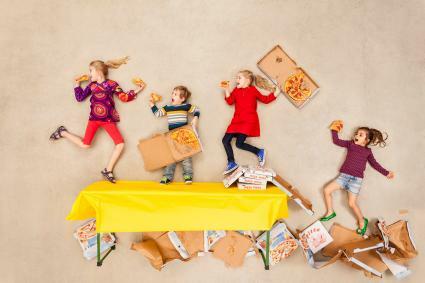 Go beyond putting out a fun do-it-yourself homemade pizza bar and come up with some creative games and activities to keep guests having a blast at your pizza party. Almost everyone loves pizza, so it only makes sense to take it to the next step with a party that celebrates the pie itself! 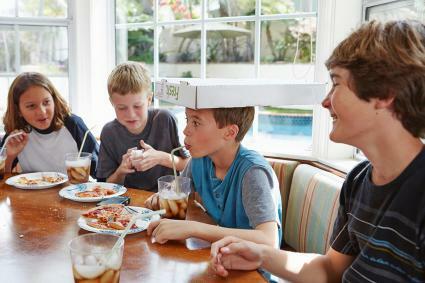 Have everyone put the pizza box on their heads. Let them know they should keep the box on their heads as long as possible. Offer any exclusions as needed (for example, guests can remove the box to use the restroom). Whoever keeps the box on his or her head the longest is the winner. Send guests home with leftover slices in boxes they make themselves! Purchase a slice boxes in bulk, then set the game up. If you have more than 20 people at the party, divide guests into teams of two to five people. Set out the flat pizza boxes. Demonstrate how to fold the boxes. Set a timer for a designated amount of time (such as five to ten minutes). The person or team who folds the largest number of slice boxes is the winner. Tip a table on its side and cover with tablecloth. 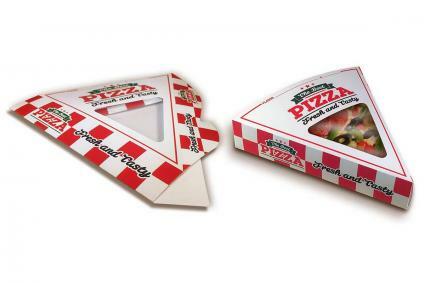 Place assorted pizza boxes around the table. Have your guests lie on the floor and eat pizza. Stand on a step-ladder and take the shot from above. Concepts like "30 minutes or less"
Set up a table with four to eight tablets or iPads. 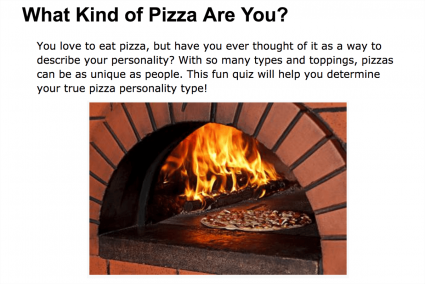 Have each one open to the linked online quiz What Kind of Pizza Are You? Each guest will answer the questions to find out what kind of pizza s/he is. Have a dry erase board set up with everyone's names so they can fill in the result for all to see. Set up a fun relay race where you "build" a pizza. This will require a large space; outdoors is best or else cover the floor in the basement or family room. It takes a bit more set up before game play, but will be fun to watch. Set up as many tables as you will have teams. Each team needs at least five people. The tables should include: 1 hat per person, 1 jar of sauce, 1 bag of cheese, 1 bag of pepperoni, and 1 bowl of vegetables. If you need additional options, separate vegetables and add dough. Set up a large chalkboard or hang posterboard with the pizza "recipe" on it. This is the order that guests will put things on the pizza crust. Have everyone stand in line. Hand the front person an empty pizza box with premade pizza dough. When you yell, "Go!" the first person needs to run to the table across from his/her team. S/he must put on the pizza delivery hat and put the next item on the pizza dough, following the recipe list. 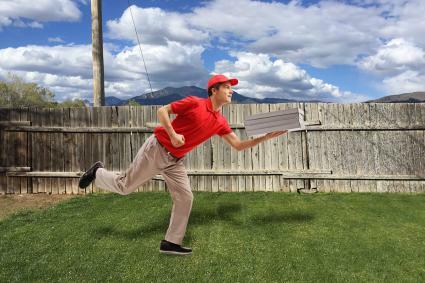 Then the person must run back to the table, holding the pizza box in one hand. If s/he drops the pizza box, s/he must return to the table and start again. The first racer then hands the pizza box off to a teammate. Each person race to the table, put on the hat, and continue putting toppings on in the correct order until the pizza is "done." The team who finishes first with their pizza intact is the winning team. Alternatively, you could have each person make their own pizza, handing off the finished pizza in box to the next person in line. Therefore, the last person will have to race holding five or more boxes upright! This could get very messy though, so be sure you have plenty of extra supplies and a good game space. Consider including aprons, as well as hats, to help keep attire clean. Use red checkered or gingham plastic tablecloths so the party resembles a pizzeria. Add white and red candles to the center of food tables. Set up a large chalkboard to write down the list of pizza options and activities/games available. You could also put the party schedule on the chalkboard. Hang up blown up images of toppings like cheese, pepperoni, onions, peppers, and mushrooms. Hang up a LED sign featuring pizza reminiscent of old pizza parlours. Use red, white, and green streamers and balloons throughout the party space. These are the colors of the Italian flag. 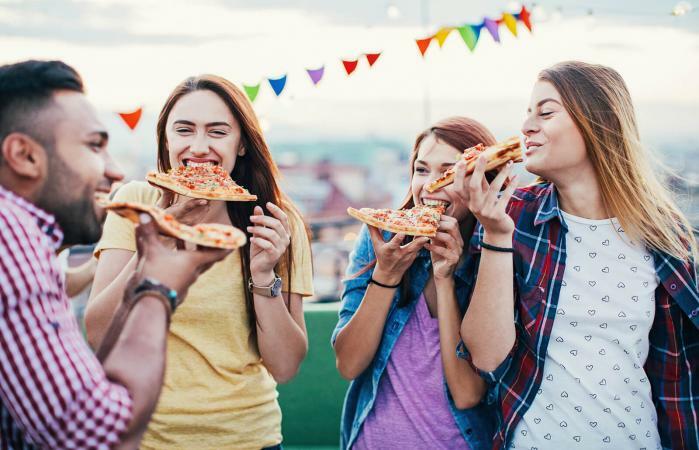 It doesn't matter if you're hosting a birthday party, retirement party, or just-for-fun party, pizza makes the perfect party theme. Guests will get a kick out of the theme that fits any occasion.